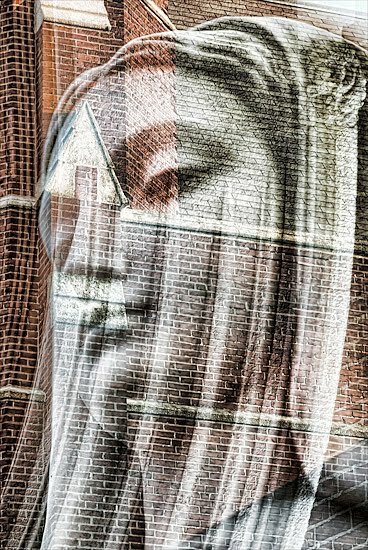 A statue of the Virgin Mary, portrayed in three images, each comprised of 3 exposures. 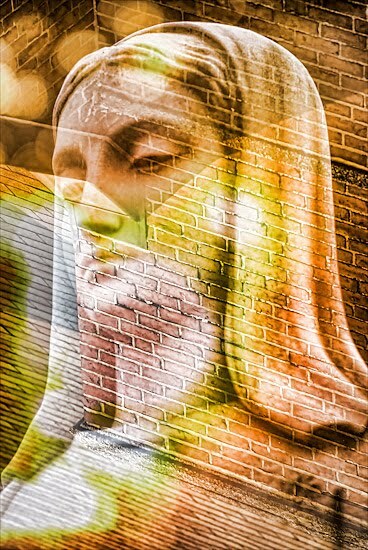 As the triptych progresses, I like how the background layers of church details (and eventually a sunset) become more prominent, and the statue's features, expression and age appear to change. 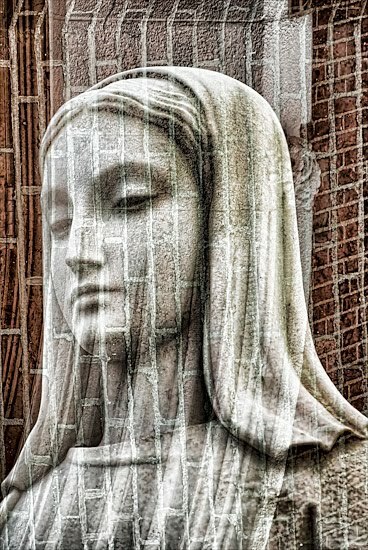 My goal is to visually represent how each viewer of this statue, based on their histories, sees something different.